Smiling is considered a natural, often involuntary response to certain stimulating factors in the environment. But recently, scientists have observed a phenomenon in a small subset of American teenagers and post-graduate Liberal Arts majors residing in urban areas. 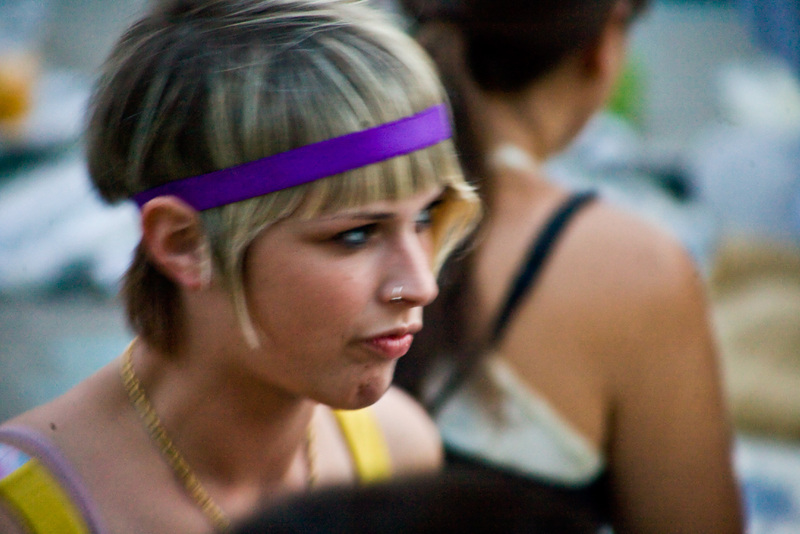 It seems that when these anomalous individuals, whom researchers refer to as the “hipster cohort,” are presented with experimental stimulus considered “pleasant,” “joyus” and “delightful” by the control group (individuals of the same age group located in Grainfield, Kansas), this group will remain completely stoic, offering no facial indication that the stimulus is favorable in any way. Despite being at a McCarren Park movie screening with all her friends, this hipster appears to be in a catatonic state of misery. Explanations for this behavior are heavily debated. One possibility is that hipsters, having had all of their needs consistently met and exceeded by indulgent suburban parents, have nothing with which to contrast happiness. Therefore, the hipster’s baseline level of contentment is much higher than that of the average human being. Hipsters do occasionally smile, but the act is almost always coupled with the act of swiping a major credit card through a reader when making a purchase, especially at faux-vintage clothing stores located in Brooklyn. To some, especially self-righteous Canadian anarchists, this behavior is looked upon with extreme disdain. In the most recent issue of Adbusters magazine, Douglass Haddow cited this hipster phenomenon as evidence that hipsters are solely responsible for the decline of America Civilization (See article here). “Less a subculture, the hipster is a consumer group – using their capital to purchase empty authenticity and rebellion,” Haddow writes. Additionally, researchers have concluded that the loss of facial motor function and inappropriate emotional response is merely the hipster’s way of adapting to a world in which real anguish is not commonly experienced. This is also why, the worst possible thing for a hipster to encounter is to find out that access to her constant stream of monetary parental support has been cut off until she gets a “real” job to actually earn money to feed her compulsions. This imposition, however, is too ironic for hipsters to handle for the following reason: The only way for hipsters to break out of the patterns that characterize them as such, is to join the very organizations that contributed to their awkward state in the first place: the advertising industries, the corporations, Hollywood – which are the only industries that are still functioning despite the decrepit state of the economy (besides the war profiteering industry). Photo by Christophe Legris for Stuff Hipsters Don’t Like ©2008. Williamsboard: Williamsburg hipster messageboard for arguing. brooklyn rules.